Feeling down about summer being over and fall coming around the corner? You know how fabulous a hair colour refresh or new highlights can make you feel? Surrounding yourself with paint colours you love can also boost your mood, while updating the look of your home at the same time. 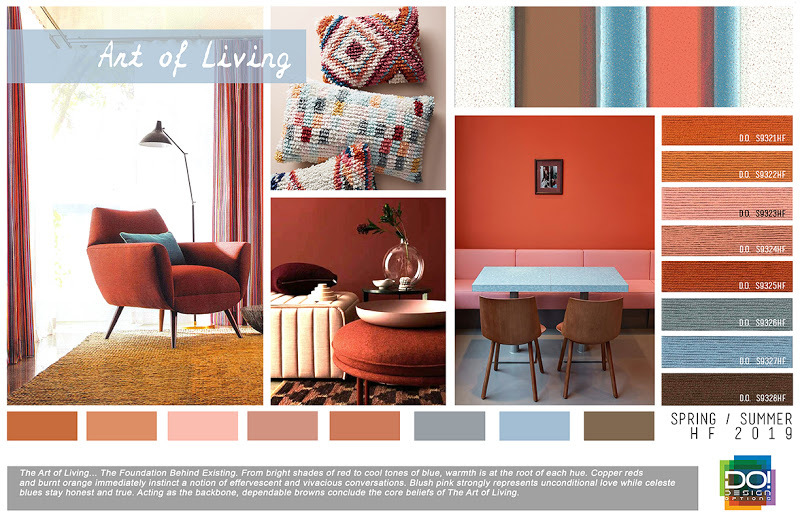 As Sheryl Crow sings, “A Change Would Do You Good!” Maybe it's time for a little seasonal colour refresh for your home? 1. Cleaning Your Home – encompassing everything from purging wardrobes and deep cleaning appliances to prepping the exterior for winter. 2. Selling Your Home – second only to spring, fall is a prime season for real estate, especially in Toronto. Whether you haven’t got the time or need help – or both – Clutterfly has the resources and expertise to assist with both fall cleaning as well as getting your home ready to put on the market. Often, clients wait to call us when they’re getting ready to move, in need of help decluttering and preparing rooms for staging. All too often it strikes me as being unfortunate, even sad, that people wait until they are selling their home to make it look better – to finally get around to making rooms look they way they always wanted them to. Why wait until you’re preparing to sell your home to fix it up and give it a refresh? Do it while you’re living in the home and can enjoy it. For starters, whether you do the work yourself or you hire someone, a fresh coat of paint can instantly transform a room. Can’t decide on a colour? Step 1. Magazines: Flip through the latest copies of home and décor magazines in search of looks you like. Tear out or dog-ear pages of looks you like. Soon a similar look will start to prevail. Also, colours in your wardrobe may be the ones you decorate your home with, too. Step 2. Brochures: Head to a paint store, Home Depot or Canadian Tire to pick up brochures on the latest colour trends and colour pairings. You can stick with one all-over colour for the ceiling, walls and trim or opt for a different colour for each. Step 3. Paint Chips: Only once you narrow down to a specific colour family or colour scheme, pick up the free paper stripes of colour swatches. Tape them to the walls and start eliminating the “rejects”. Narrow your colour choices down to 3 at the most. Any more will be overwhelming. When in doubt, pick the darker shade. It will look lighter in a sunlight room. And yes, it is difficult to make a decision based on a small colour sample that’s little more than 1” x 2”. Don’t get flustered, just more on to the next step. Step 4. 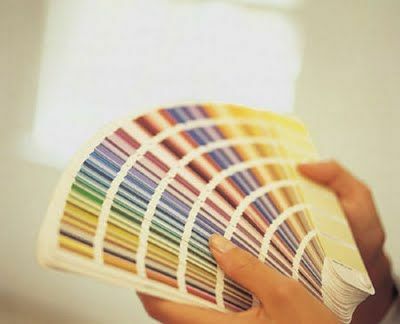 Paint Samples: Most brands sell small tester pots. Be sure to buy a few mini rollers to apply the paint. Be sure to label each colour as you go along. There’s nothing worse than choosing the winning shade, only to forget which can of paint it came from. I like to write it on green painter’s tape, which will stick to the wall without tearing off paint or fresh drywall when you remove it. • Be bold painting patches of paint on the wall. Each sample should be at least 12”x12”. And paint each colour in different areas of the room. 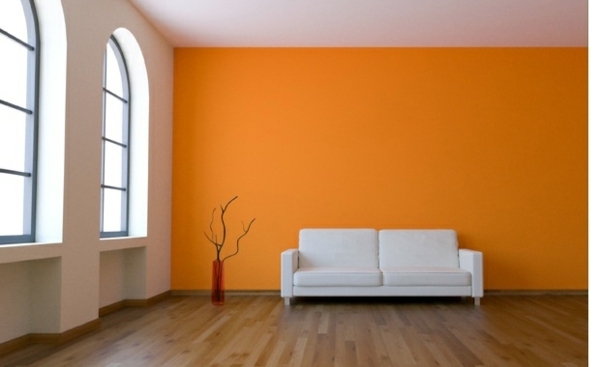 A paint colour on a window wall can look completely different than paint on the wall the sun shines on. • Be patient. Paint darkens when it dries. And live with your colour options for a while. Look at them on both sunny and cloudy days, as well as at different times of the day. See what the colour looks like in natural sunlight as well as in the evening. Also, consider the artificial lighting in your room. If you love the look of a colour during the day, but not as much at night, consider switching your light bulbs from warm to cool tones or even daylight bulbs. TREND TIP: Right now, deep, rich hues are very on-trend for everything from small powder rooms to chic living rooms to ideal-for-sleep bedrooms. If you love the look, but are wary of painting an entire room a dark colour, try it on just one wall for a sharp-looking backdrop. Before you can paint a room, you’ll have to declutter it, so whoever is doing the painting can safety maneuver around the room. The less that’s in the way, the better. Need help getting a room ready to paint? Call or email me and we can help with everything from decluttering to prepping and painting, even shopping for new home décor and accent pieces to complete the look! Get excited about your home again. Take a look at my Before & After photos to see other home refresh projects we have done. Maybe you will be inspired! Kim has over 25 years of marketing and sales experience in the advertising, not-for-profit and service industries. With her degree in Fashion, Kim has a solid foundation in colour, design, architecture, and closets! She can even help you decide what clothes to keep and which ones you should never wear again! As a military brat, Kim has moved over 18 times and is a pro at packing! Also, Kim’s first job was to start a cleaning company with her sister at age 15 to clean military homes at the nearby air base. She knows how to pass muster! She is a member of the Professional Organizers in Canada and has earned her TPO (Trained Professional Organizer certificate) and serves as the Communication Coordinator for the Toronto Chapter. 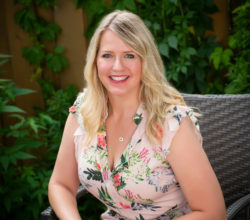 She is also a subscriber to the Institute of Challenging Disorganization and is now the 8th person in Canada to earn her CPO-CD® (Certified Professional Organizer in Chronic Disorganization). Kim enjoys life with her husband and two daughters and Lola the snoring bulldog.